Griffin Technology combines a slim design and full protection for your iPhone 8 with the black/deep grey Survivor Strong Case. The Survivor Strong's one-piece shell snaps onto your device to deliver advanced drop protection without adding weight to your iPhone. This case gives you two layers of protection with the inner shell made of shatterproof polycarbonate and the outer layer featuring a non-slip grip material, so it's easy to hold onto your phone. Designed for and tested to Military Standard 810-G, this case is built to withstand drops up to 7' onto concrete without compromising your iPhone's safety. 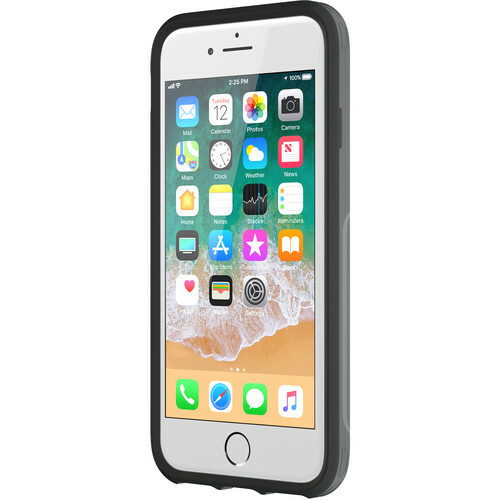 In addition, the Survivor Strong case also boasts a built-in impact-dispersion system, which absorbs drop forces before they can damage your iPhone.